Guess what?! Today is my day to showcase the beautiful Forest Floor fabrics by the lovely GoingHomeToRoost! I've been asked to join Bonnie's Blog Tour and I couldn't be more excited. 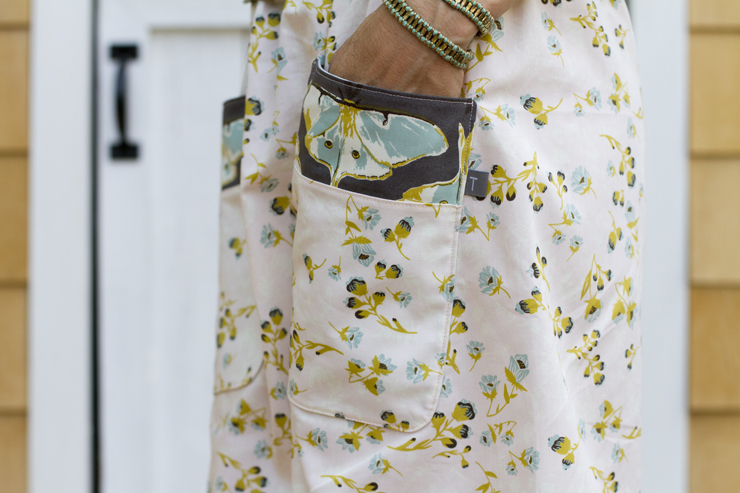 I love all the beautiful fabrics she designs and Art Gallery Fabrics are incredibly soft. It's a match made in fabric heaven. Anyway, onto the main course! I decided to test my hand at garment sewing and although I have a lot to learn, I kept it simple and am pleased with the results. I didn't follow a pattern but instead used a skirt I had in my closet as a guide. 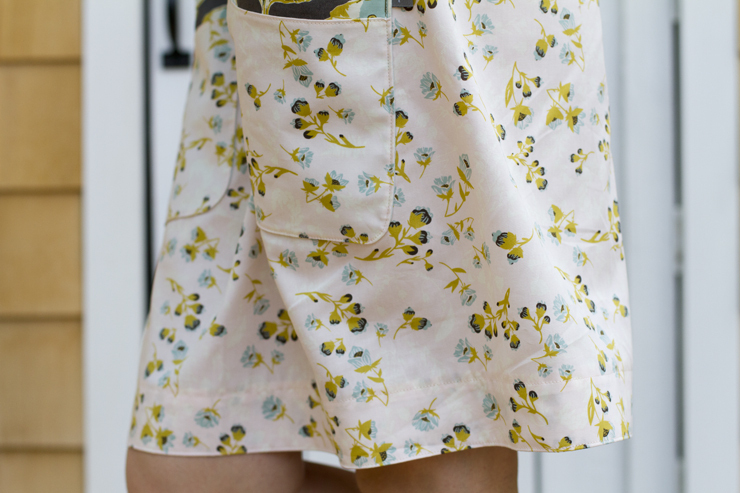 It's just a simple gathered skirt, and the hardest (and by hard, I just mean time-consuming) part was the pockets. I thought about skipping them, but it just wouldn't be the same without it. And let's be honest here, we all need giant pockets to hold phones, keys, shells, rocks, twigs, the occasional bug and whatever else our toddlers qualifies as treasure. Another downfall of sewing clothes for oneself is attempting pictures of them! If there's an arm missing, I took the pictures with a remote, if you can see both my arms, my four year-old was honing her mother-given photography skills. I was happy to have help and she was ecstatic to hold mama's big camera. 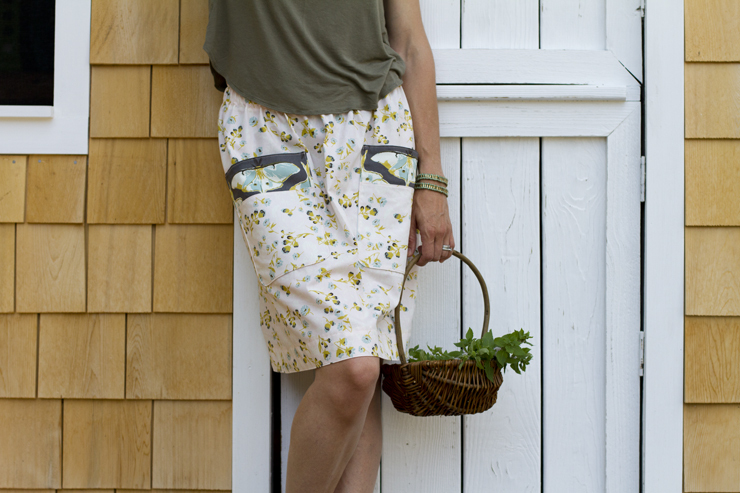 Large hem, large pockets, relaxed style. It's perfect for these hot summer days. If you're interested in viewing the Forest Floor collection, you can see it here. I love to buy most of my online fabrics from Llamafabrics on etsy because of the impeccable customer service, great prices and fast shipping. Bonnie's mother also sells fabrics here, although I've never ordered from her. If she's anything half as nice as Bonnie, I'm sure it would be a great experience. 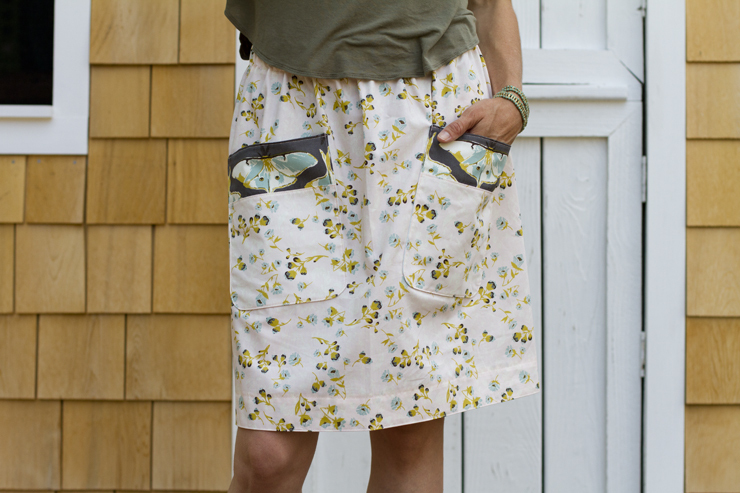 I used a yard for my skirt here, about a 25" cut but you would have to measure, add a few inches on each end for hems and elastic and work from there. The pockets are 7x8" with rounded corners on the bottoms. 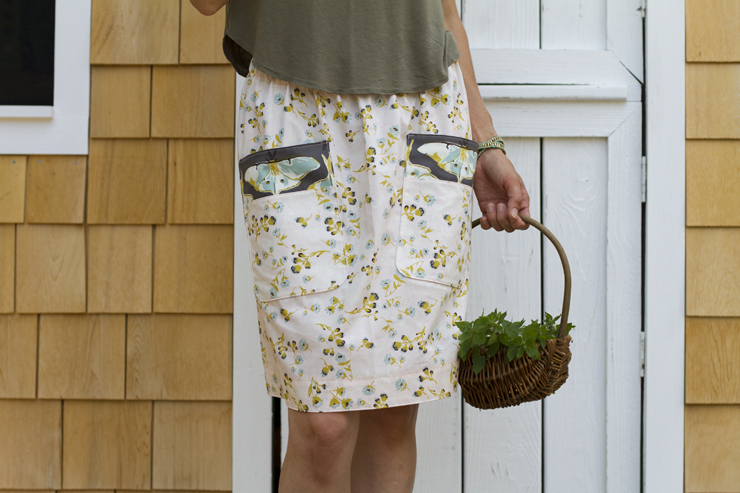 If anyone has any questions on how to make your own skirt, please let me know. Also, do me a favor and continue on the tour! Check out all the past and future makers here. We work hard to make something pretty and inspiring all the while trying our best to showcase the designers gorgeous fabrics. Sue from needleinafabricstash posted yesterday, and Annika is up tomorrow! Cant wait to go peruse myself. I've got a little of this print left and I want some inspiration on what to make with it.